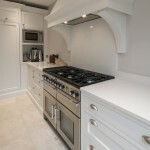 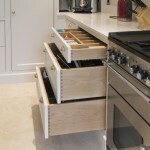 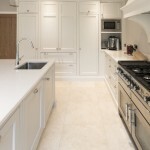 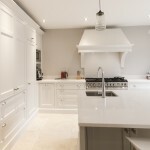 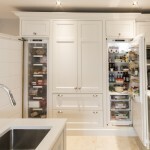 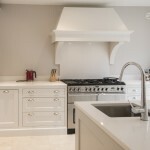 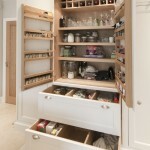 Classical Shaker kitchen in “Strong White” – Delgany, Co Wicklow. 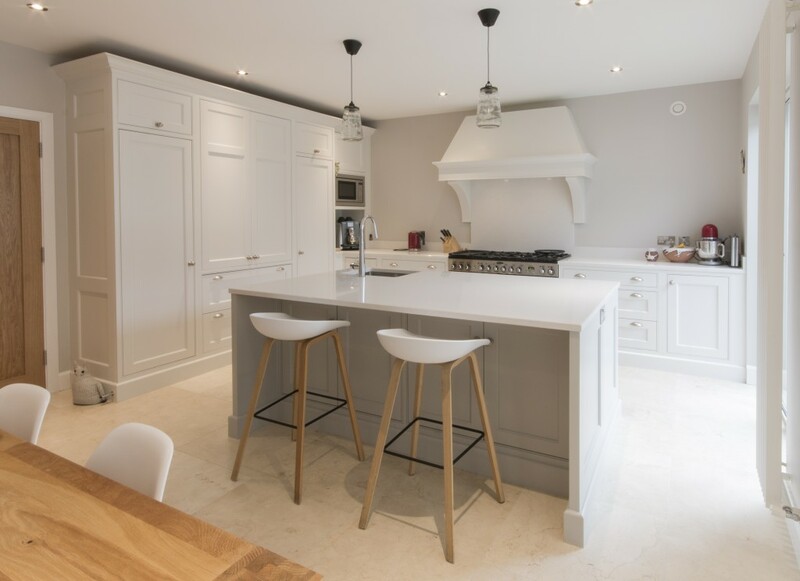 This classical style shaker kitchen really looks great in this modern house in Delgany. 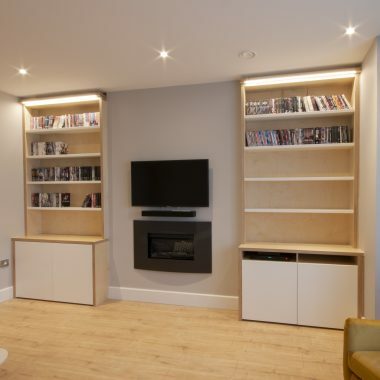 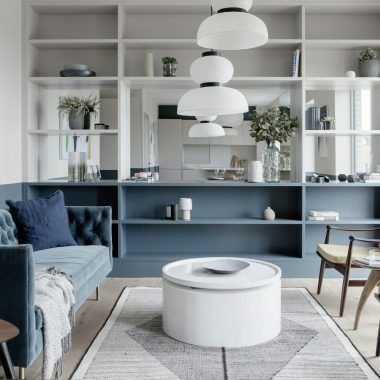 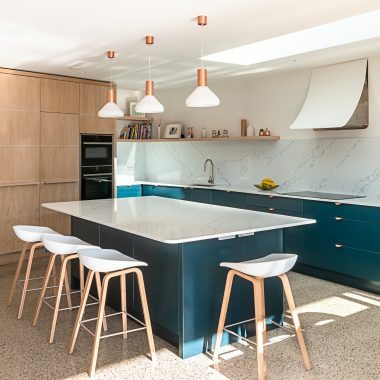 The bright colours combined with clever layout and storage options have certainly made the most of the available space and the whole kitchen and living room feels large, bright and spacious. 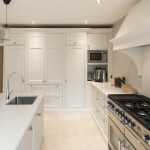 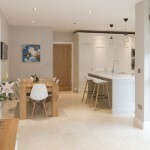 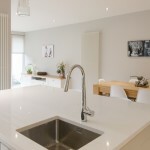 Colour – Strong White by Farrow & ball on the main units. 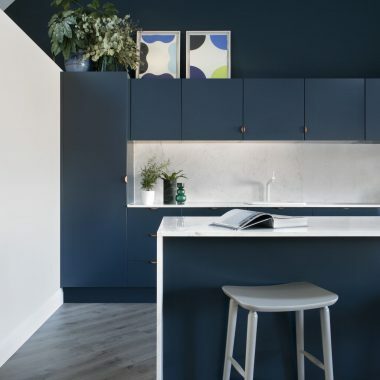 Pavillion Grey on the island. 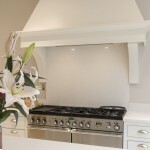 Classical style canopy over the range with motor and lighting.